All Harrison Residents are provided roll carts for recycling and trash, and all waste charges are included on the Harrison City Water Bill. 1 — 64 Gallon trash cart with a blue lid. 1 — 96 Gallon recycling cart with a yellow lid. 1 — 35 Gallon trash cart with a blue lid. 1 — 95 Gallon recycle cart with a yellow lid. Pull both carts to the curb for weekly automated waste service. 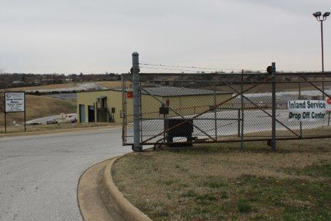 Call 870-204-6690 to sign up or visit Inland’s Drop off facility at 805 Cottonwood Road during their normal operating hours. Glass Bottles are not accepted in curbside service but are accepted at the Inland Service Drop-Off Center location 805 Cottonwood Road. The following materials are accepted at the Inland Service Drop-Off Center during regular business hours. Lightly rinse out containers. No sorting is necessary. Residential yard waste is accepted at the Inland Service Drop-Off Center during normal business hours. Compostable bags are accepted and are available for purchase at the Inland Service Drop-Office for $5 for a bundle of 5 40-gallon bags. One bulky item will be picked up curbside every third full week of the month at no charge for Basic and Low Volume Residential customers. 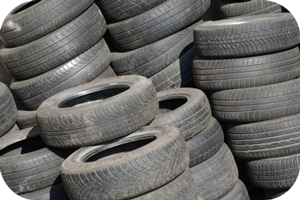 Specialty tire fees (.pdf) are based on disposal fees to the District. Tires that do not have a fee attached at the point of sale are considered a non-fee paid tire; basically, a stray tire. There is no charge for the first 4 non-fee paid tires per person, per day. After that limit, charges for non-fee paid tires are $1 per tire. Automotive — oils, fuels, additives, brake and transmission fluids, etc. Customers are requested to provide a valid Boone County address and signature. Residential yard waste is accepted at the Boone County Recycling Center during normal business hours. No plastic bags allowed! Household trash is accepted, with a small fee per bag. There is a limit of 7 bags per customer per day. For more information about garbage collection, contact 1-866-427-8095.